"One Day a Teacher, a Whole life a Father"
"Dear piano friends, welcome to my new online home! Here's a look at some of the great memories I've had, performing and teaching all over the world, PLUS news of upcoming concerts and events." 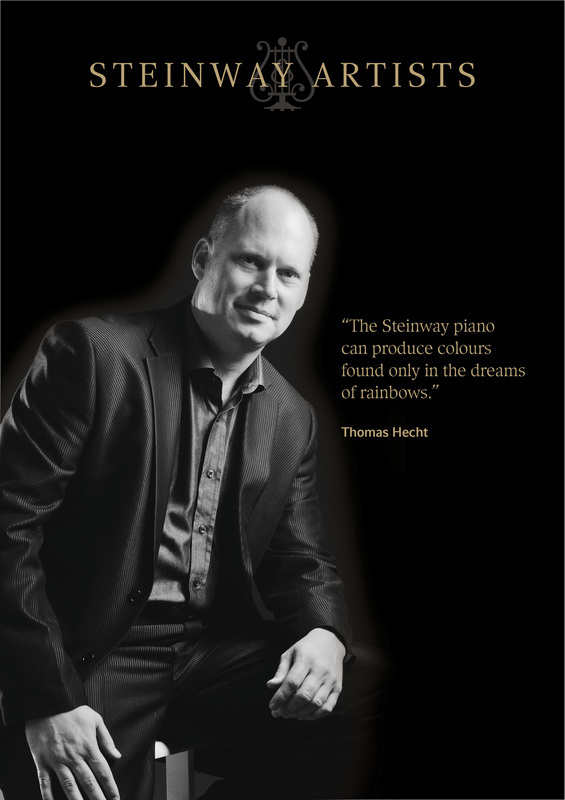 Thomas Hecht is a Steinway Artist & pedagogue, and Professor & Head of Piano Studies at the Yong Siew Toh Conservatory in Singapore. This website features his work life, bringing together both the Performer and the Teacher . It contains Information about upcoming recitals , his recordings and concerto repertoire as well as teaching programmes , conservatory initiatives and master class and festival Listings . A Section on his pupils , their Achievements and news is also included and will be expanded in due course. A note to concert presenters: press notices, two print English ready BIOS, and bios in Korean, Mandarin and Thai are available on this site along with high quality photographs . For news about updates to this website and Professor Hecht's Concerts and teaching programmes, please check back frequently or follow Koru Artists on Facebook . Thomas Hecht to Engage in concerto appearances & Solo Piano Recitals, please contact his personal representative, Elizabeth Woollacott at Koru Artists.